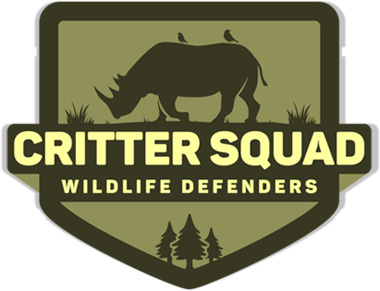 Watch Critter Squad Wildlife Defenders on YouTube! Hey Defenders. Don’t forget we have an awesome animal YouTube channel with some pretty cool videos to watch! We have our normal C.S.W.D T.V. episodes, Zoo Clipz and Wild Clipz. We are constantly shooting content and uploading episodes. We have tons of great animal footage coming out on a regular basis. Our most current series is about the differences between similar groups of animals. Like, the differences between boas and pythons, the difference between mice and rats, the difference between crested geckos and leopard geckos. These videos are a great way for you learn some quick facts about some similar groups of animals. In this blog we have added some of our most popular animal differences videos for you to watch. Mice and rats are very special animals and they have so many great features. Did you know that mice are smaller than rats? Or that both mice and rats are great climbers? We love mice and rats here at Critter Squad Wildlife Defenders and we hope you do to! Here is the video on the differences between mice and rats! Don’t forget to watch right on our animal Youtube Channel. Salamanders and lizards are both incredibly unique animals that in certain context can look very similar. But, did you know that salamanders are amphibians and lizards are reptiles? Or that lizards have scales and salamanders have no scales? Well, I bet you knew that lizards and salamanders can both regenerate their tails, but did you know that salamanders can also regenerate their limbs?!?! Both lizards and salamanders are awesome! Enjoy the video on our Youtube channel. Whoa.. I know what you are thinking! Insects and spiders are so creepy and weird, but they are actually AWESOME! When you forget the hype and take a look at them up close and personal they are actually very interesting. Did you know that insects have 6 legs and spiders have 8 legs. Or that insects have antennas and spiders have no antennas? Insects and spiders are very important for habitat health and supporting food chains and many living things rely on them. Check out the video and be sure to subscribe to our YouTube channel and tell us what you think.